4-H friends and alumni, along with their families and business associates, gathered at Midland Hills Country Club in Roseville for a fun afternoon of golf on June 19. 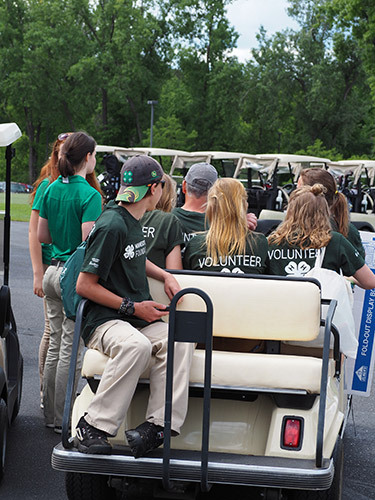 Participants supported Minnesota 4-H youth programs with their registration fees and by talking with 4-H members about projects that are making an impact on their lives. Even Goldy Gopher was available for photos during the event! I want to thank UnitedHealthcare, our presenting sponsor, as well as the other sponsors, golfers, volunteers and 4-H’ers that made this a successful event. While we are still sorting through funds received and outstanding expenses, we anticipate the event this year will net almost $47,000. Thanks to everyone who gives of their time and other resources to support Extension research and education that creates a stronger Minnesota.